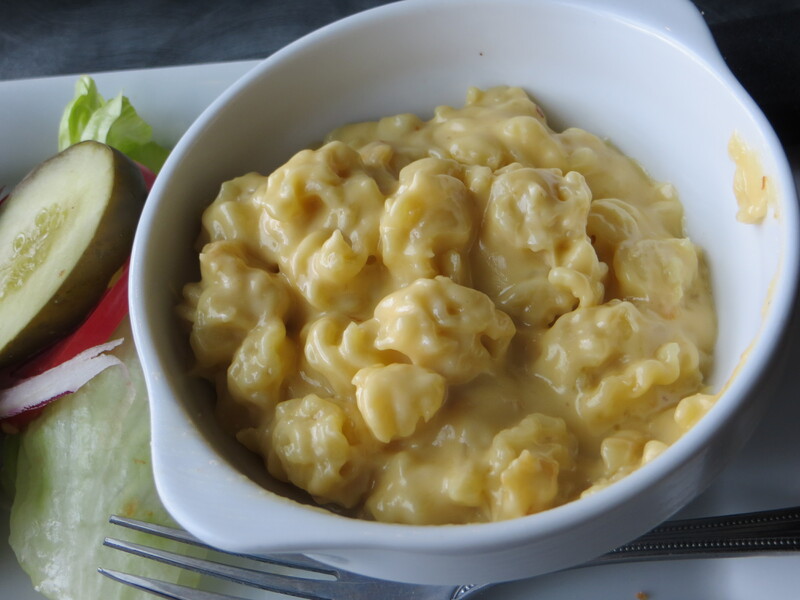 Lunchbox Laboratory – delicious, comforting, juicy, eclectic, gourmet. I know I will definitely be heading back to Lunchbox Laboratory, with an empty stomach… and will try the Dogsticks and the skinny fries. There is a happy hour menu as well as a separate kids menu. The main menu offers a number of appetizers, salads, a slew of burgers (Lunchbox Original Burgers and Build Your Own Burger), Hand-Dipped Shakes (some with booze), a nice selection of innovative cocktails, dessert, and a bit more. A suggestion? Maybe more game day type snacks. There are weekly experiments…food and drink (like The Upstate New Yorker or The Miami Heater). What did we try for our first visit? On this night, we started with cocktails and crispy tots and then we built our own burgers… I chose the Super-beef patty and my husband (the Dork, he said), as he chose the Dork patty (Duck,Pork combo). 🙂 See pics below. 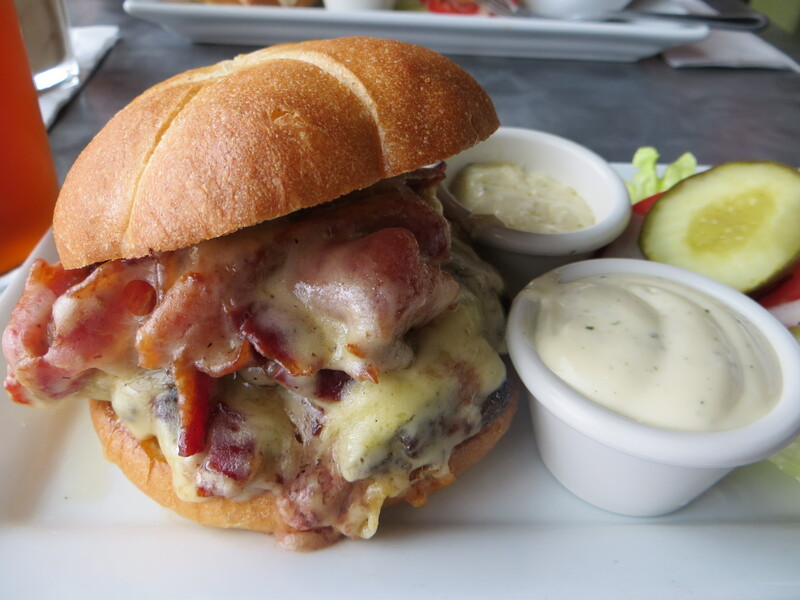 The burgers come with lettuce, tomato, pickle, and onion…and then you have choices of numerous sauces, toppings, patties, bacon, and cheeses (extra charge for some). Also, you get a choice of a side… like skinny fries, sweet potato fries, mac & cheese, crispy tots, potato salad, and chips. And yes, you will use lots of napkins. 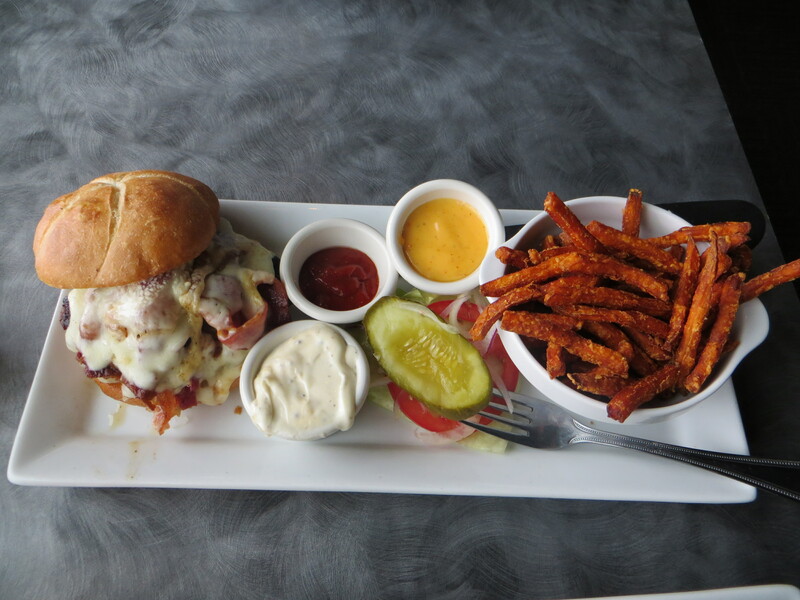 All this deliciousness will cost you approximately $13-20 per burger – and well worth it! Vegetarian? Or looking for an other alternative? Well, they got that too! Choose a bean patty or maybe a pan-roasted turkey? 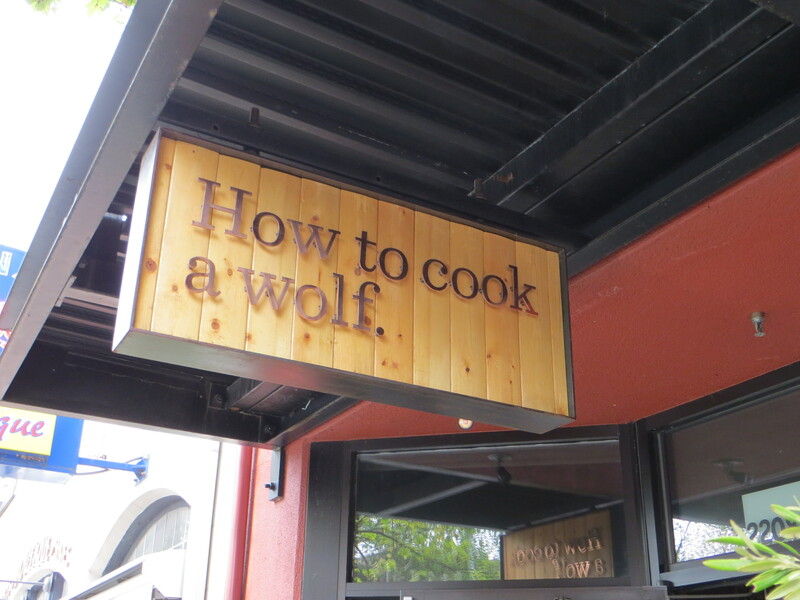 How To Cook A Wolf is one of four of Ethan Stowell’s Seattle area restaurants. 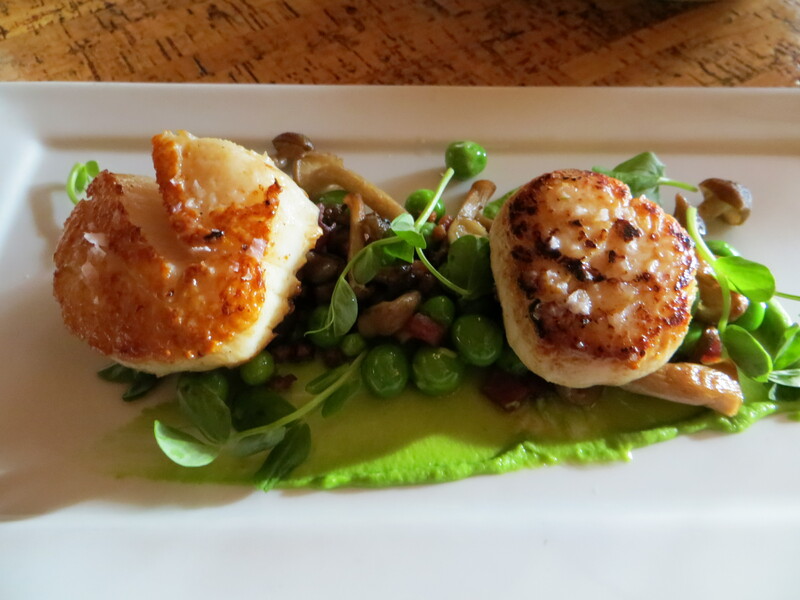 It exemplifies fresh ingredients…whether it be Scallops, Proscuitto di Parma, Pork Belly or those ingredients that decorate the plate, like peas, sultans, mushrooms, and more. 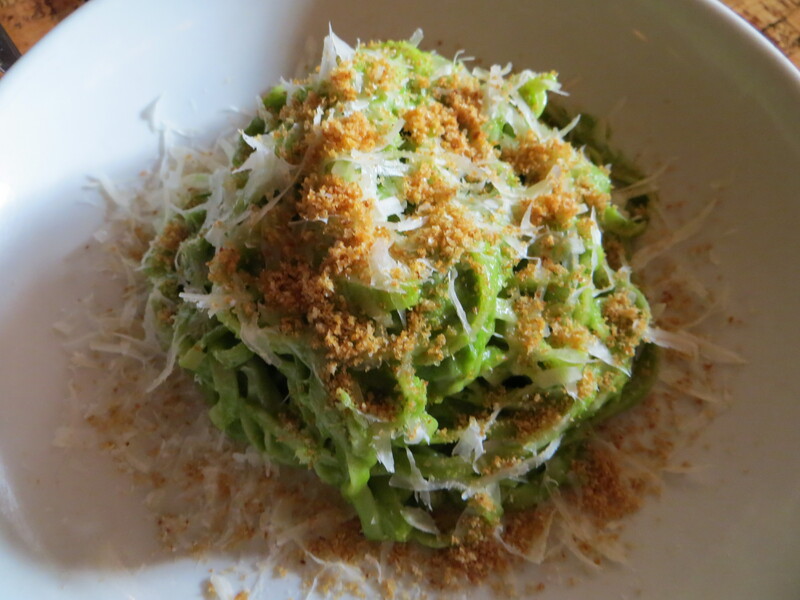 The pasta is handmade daily. Located atop of Queen Anne hill, it offers a small outdoor dining and a window/door that opens to let the light in for the rest of us. Choose a table or sit at the bar. The decor is northwest, rustic, simple. I appreciated the cork, slate entry, stone, wood walls/ceiling, and metal. Are you a beginner or a seasoned river rafter, either way you are sure to have a good time. This was my first time river rafting, and I really appreciated that Wildwater River Tours made the experience educational, safe, and fun. Kim and Eric were excellent guides. I know I appreciated the how-to and safety tips beforehand. If you follow what your guide says, you will have a good time. Go with a friend, family member or with a group. We saw Osprey (Seahawks!) and plenty of Mayflies. Seeing that this is June, we wore wet suits – no helmet necessary. Great weather and the water level was just right… it provided enough dips/waves for us to get a bit wet and experience a bit of excitement. We saw other rafters, kayakers, and a wave boarder too. 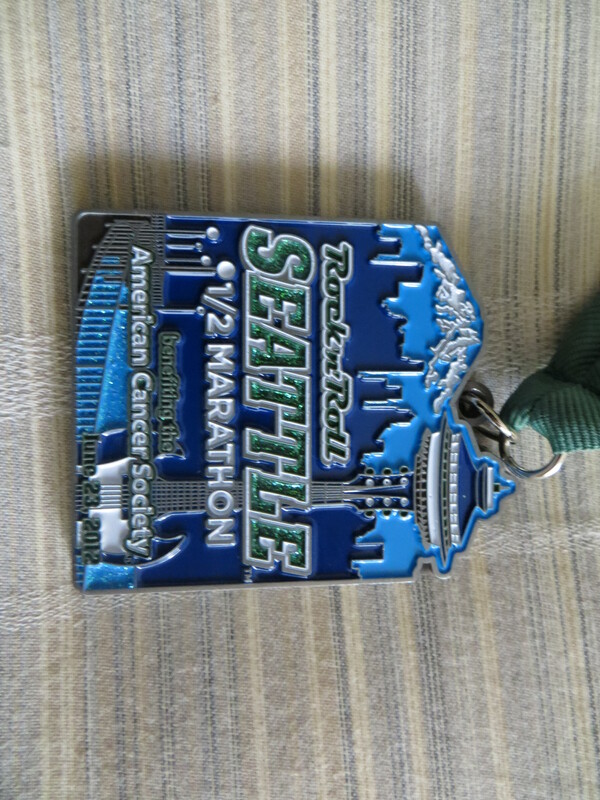 We all met at Riverside Park in Cashmere, WA and were then drove to an area in Leavenworth, WA for the start. The rafting trip was on the Wenatchee River and approximately 16 miles. The tours run April – July and can be 3-1/2 hours+ depending on the water flow. This is a class III+ river, this means that there are some nice rapids to maneuver through and can be a bit tricky, but with everyone working together a lot of fun too. Not for the very young, but a great time for everyone else. 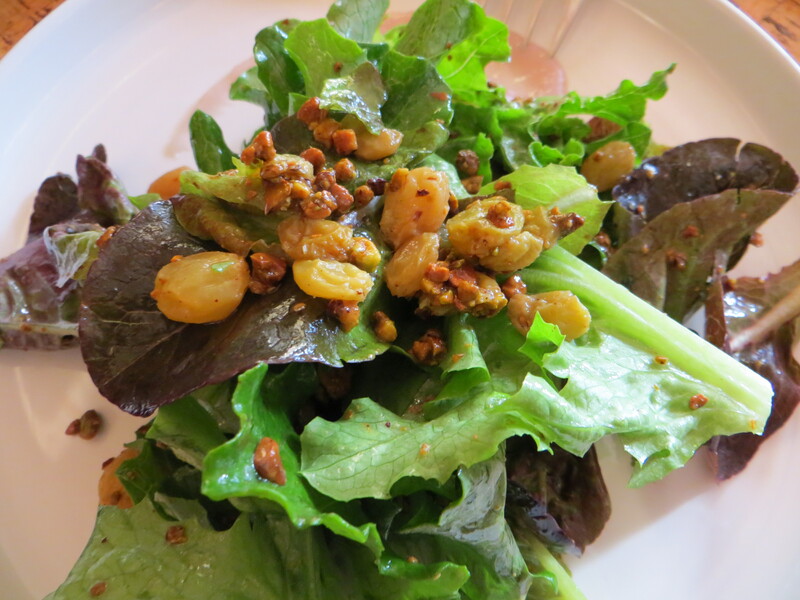 The menu has a nice variety of fresh, northwest, creative dishes. It consists of a great selection of starters, entrees, and yes, dessert. What really stood out for me was the freshness of the dish… halibut with spring onions, pickled rhubarb, pea shoots & green garlic butter sauce. The black cod with a maple marinade, red wine beluga lentils & arugula was a hit as well. A side of fingerling potatoes with sea salt was enjoyed. Every dessert that passed our table looked appetizing. And how about the whiskey library? Quite the selection. I would say those removing plates from the table were a bit eager; but overall, an excellent choice. 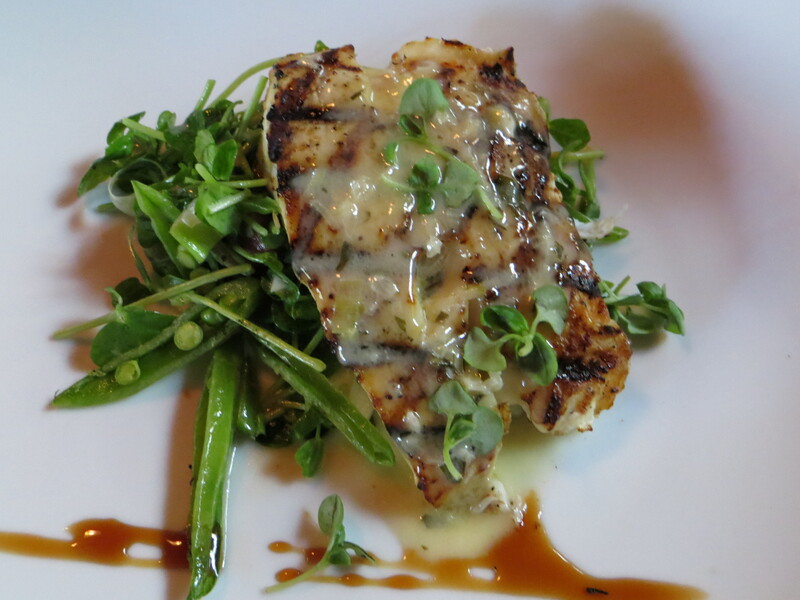 Be sure to ask what the specials are, as they will have some tempting options to choose from! Lunch, Dinner, and Happy Hour. I’m looking forward to the next time. Reservations are recommended. Is the cooler, rainy June of the west side of the getting you down? Well, check the weather and think about heading east of the Cascades? 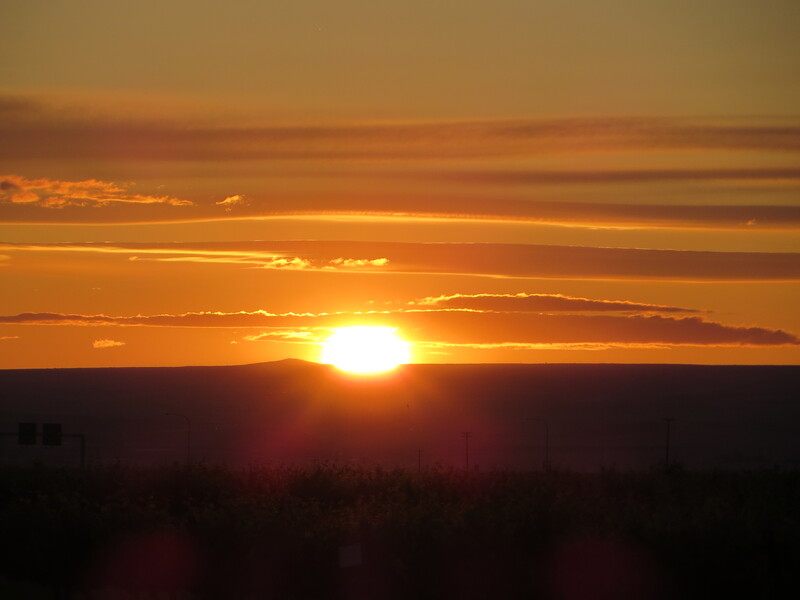 An escape to Richland, WA and/or Red Mountain just might be the ticket. 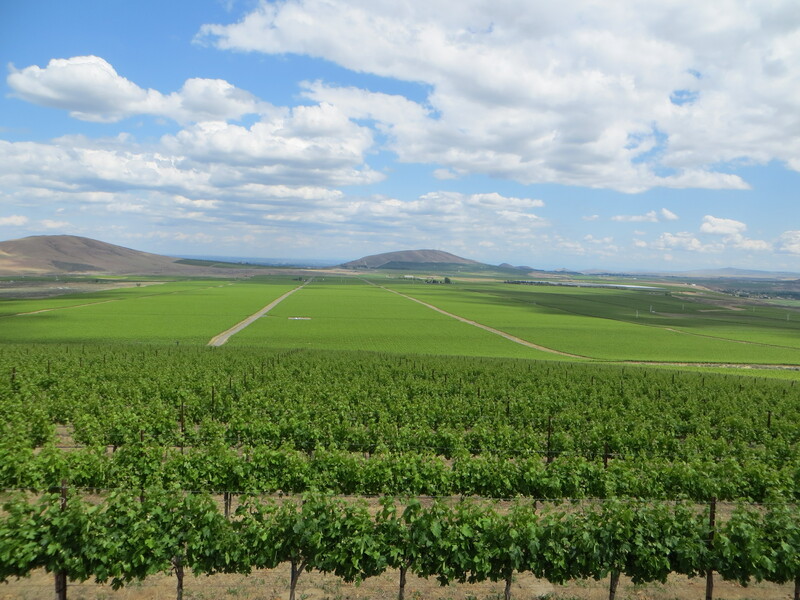 Wine tasting and summer activities near the Columbia River… a mix of Spring Break and a weekend in wine country. Set up a tour of a winery, and/or the vineyards, go on your own or with a group. This is a true within four hours reach trip as it is approximately 3-1/2 hours from the Seattle area via I-90, I-82 and I-182. Looking for a bite to eat? 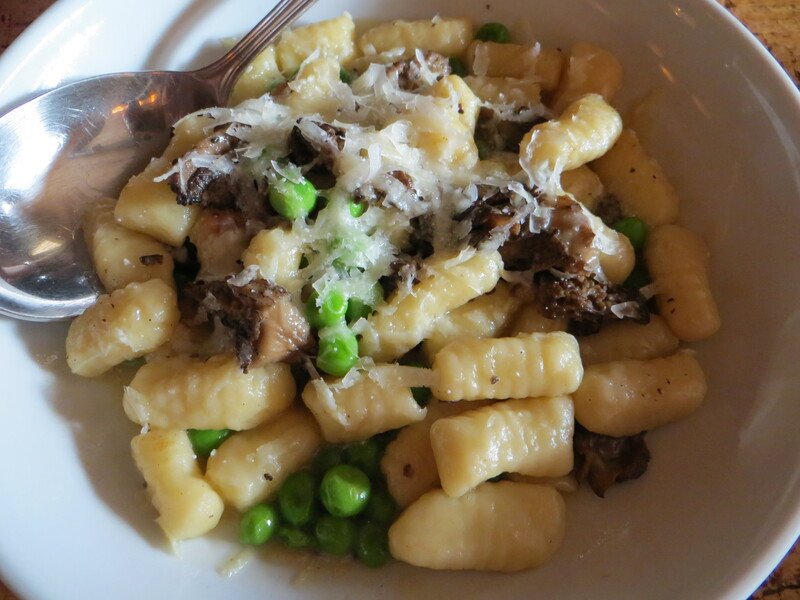 Anthony’s at Columbia Point is an always popular option. 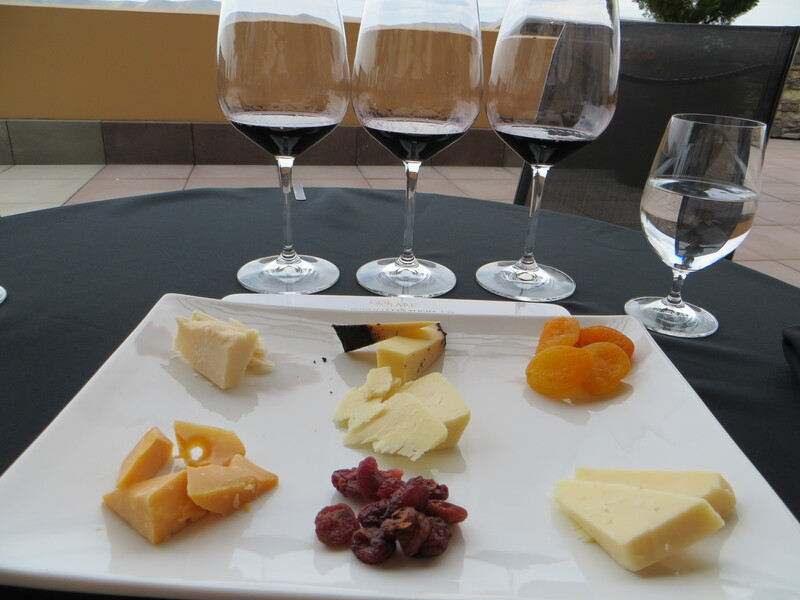 How about a cheese plate at one of the wineries? The Fromage plate at Col Solare is a real pleaser. Figs and dried apricots accompany a nice selection of fine cheeses. JBistro is located at J. Bookwalter Winery and is a great stop for an afternoon bite with some nice vino. JBistro has a great full-service outdoor patio as well as indoor seating and a tasting bar. They were most accommodating as we were there for only a short time. Buy a bottle and I can recommend the flatbread (Prosciutto & Capicollo) and the Wagyu Wonton. Check out the other savory options at the JBistro link at http://www.bookwalterwines.com/. A must stop is at Goose Ridge Estate Vineyard & Winery. 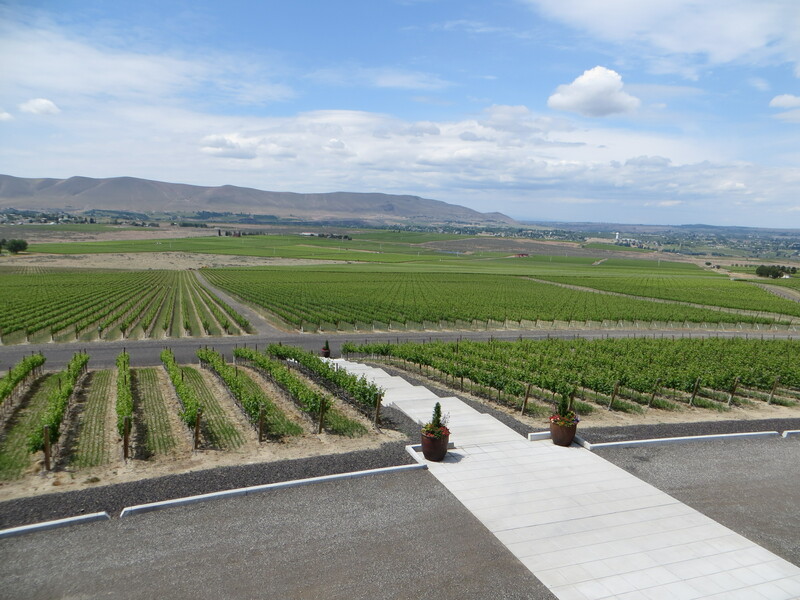 It has a beautiful tasting room, landscaping and here’s your chance to play bocce ball too. 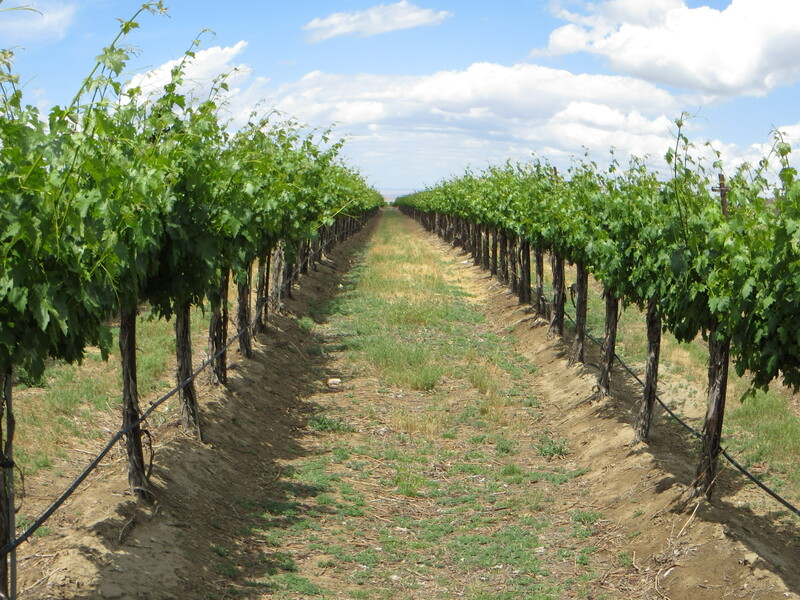 http://gooseridge.com/ There is history built on this land as the 1400 acres (3800 total) were established under the direction of Dr. Walter Clore and was part of the largest single planting of true vinifera grapes in the state of Washington. 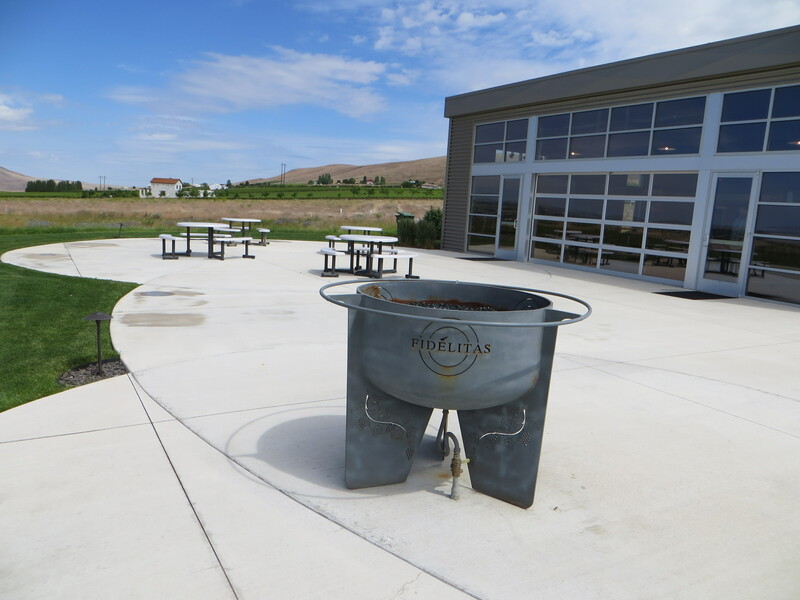 Fidelitas http://www.fidelitaswines.com/ An inviting tasting room with an industrial feel. A worthy display of wine, info, and Fidelitas history, with winemaker/owner Charlie Hoppes making some of the best wines in the State. Take a seat on the outdoor patio or inside on the barrel wood chairs (and don’t forget to check out the beautiful wood/glass table). Col Solare http://www.colsolare.com/ is a destination. We were fortunate enough to get a tour and what an afternoon, the things you’ll see. The architecture is a mix of Tuscan villa and Northwest. 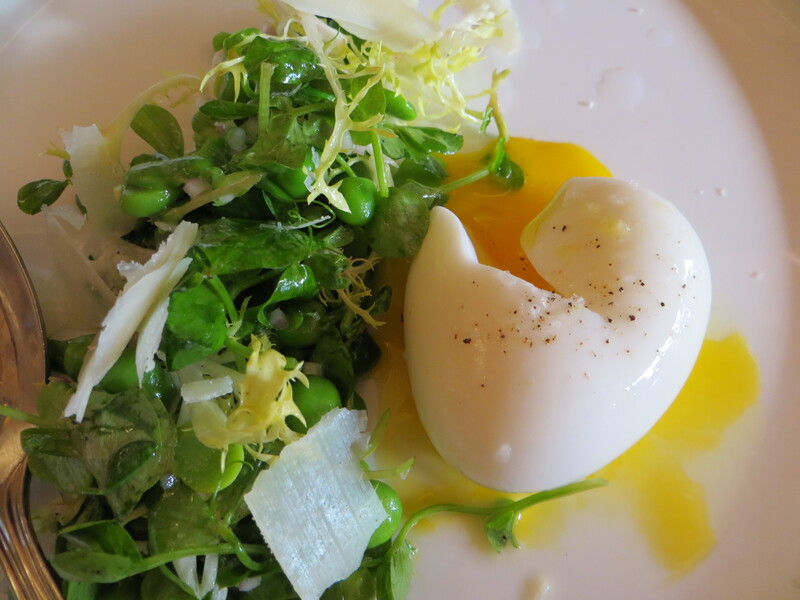 Try a cicchetti (small plate) on the deck overlooking the vineyard. See above for a suggestion. Taste. See. Enjoy, but make sure to call ahead to see if they are open to the public that day or to make a reservation for a tour of the facility.